Flower girls are like little angels at your wedding; these dear little girls who belong to the family of either the bride or groom, make a cute addition to the wedding party. 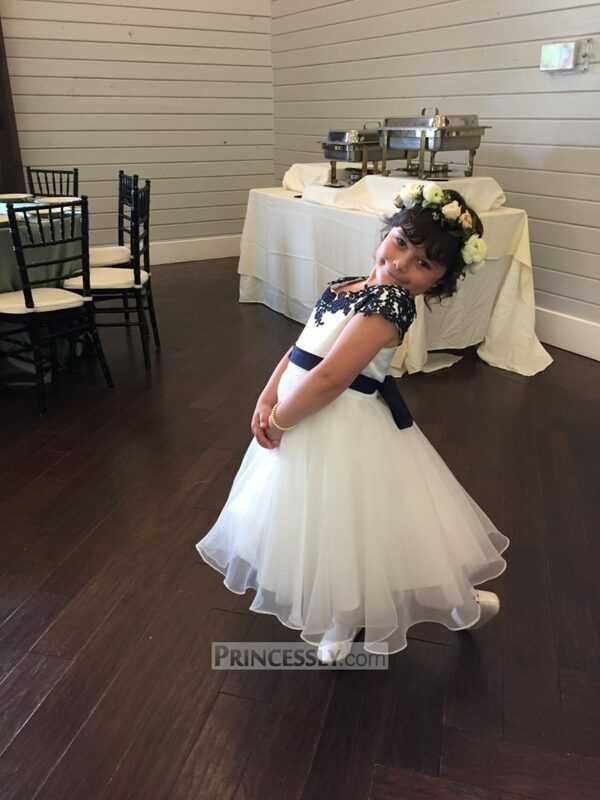 When choosing a flower girl’s dress, there are some factors to consider. The most important is the little girl’s age. Since a flower girl is usually aged between 4 and 8 years, it is necessary to choose a fabric and length that she will be comfortable in. The other relevant factors include pattern, budget and quality. Let us take a closer look at each of these factors now. The flower girl usually walks down the aisle before or after the bride, and everyone notices her as she makes her appearance. You should ideally choose a short dress for her, so that she doesn’t risk tripping and falling. A dress that is knee-length or at the most calf-length is the best choice. This should allow her to move around easily. Your flower girl’s dress may resemble the bridal gown, or it may be such that it goes well with the rest of the wedding décor. Rather than choosing a dress that is entirely white, it would be nice to add a colorful element to keep it interesting. The other option is to choose a dress in the same color as the bridesmaid’s dresses, or tie it with the wedding color palette using a colored sash or bow. Choose a fabric that is appropriate for the venue and the formality of the ceremony. If you are having a traditional church wedding, a fancy layered frock would look good, but if it is a garden or beach wedding opt for light, airy fabrics that will not weigh her down. Also consider the weather when choosing the fabric. Don’t drown your flowergirl in heavy layers or long sleeves if it is warm, and avoid a thin or short dress if it is windy or cold. At her age, it is unlikely that your flower girl will sit still for too long. So, it is unlikely that her dress will remain fresh throughout the ceremony, unless it is of suitable quality. If she is restless (as is expected at her age) you do not want to feel disappointed to see her pretty dress full of creases and wrinkles. A good idea is to choose a good quality fabric. Fabrics that maintain their shape will ensure your flower girl looks fresh throughout the ceremony. A sensible pair of shoes are a must for your flower girl. See to that she breaks her shoes in before the wedding. 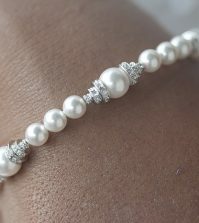 Keep her hairstyle simple, and add accessories that she will like, but not distract her. You do not want her fiddling with it at the time of the ceremony. 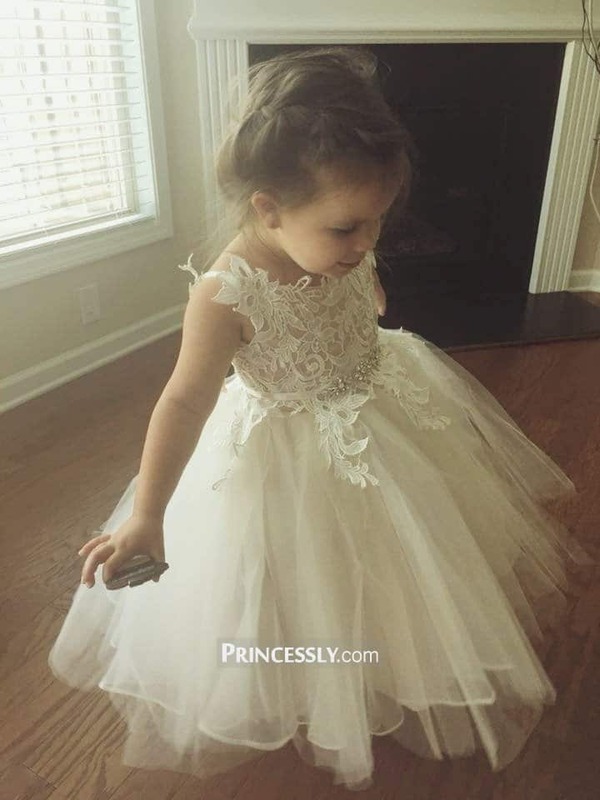 To choose a pretty flower girl dress that will be just right for your wedding, check out the flower girl dress collection at Best for Bride. For more wedding advice and to find all that you need for your wedding day, visit us today. I think the one that you have a photo of right there is quite good and will do the trick! I appreciate all of the information you are sharing here! I rented the dress for our flower girl. This allowed us to have different options and it was great knowing that it was something we could just return when we were done with it.